The Bristol International Balloon Fiesta Dinner took place in the south west earlier this month at a unique venue. Andy Ling from our Product Team (which source all of our great experiences and look after supply partners) was bursting to go along – and the night certainly didn’t disappoint. Andy paints a picture of the evening “An evening in June saw this year’s Club 100 Gala Dinner, a gathering of all corporate sponsors of the Bristol International Balloon Fiesta. It’s Red Letter Days’ first year of sponsorship and I went along to represent the company and support our developing involvement in the world of hot air ballooning. Bristol International Balloon Fiesta, held every August, is a four day event attracting 500 thousand visitors and enthusiasts from across the globe. Over 100 hot air balloons of all shapes and sizes help make it one of the UK’s top five outdoor events, as well as the largest of its kind in Europe. It was great fun and very fitting to be surrounded by wicker baskets (in the very factory responsible for making almost every hot air balloon in Europe) while dining. I sat with Clive Bailey and his wife Jo of Bailey Balloons. 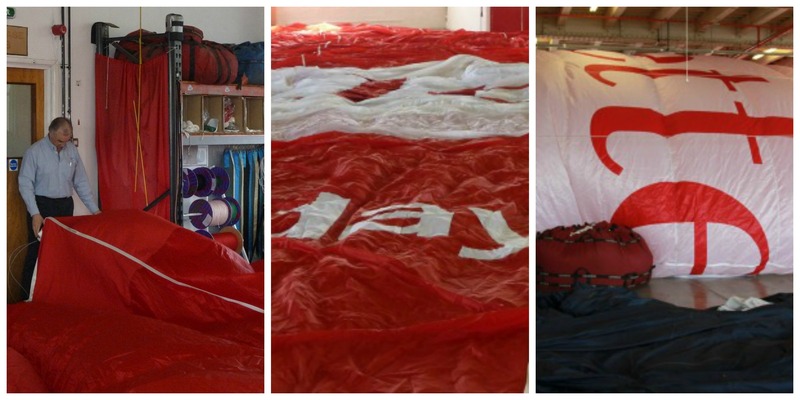 They fly over Bath and Bristol with one of our brand new Red Letter Days branded balloons. Clive compares the dinner each year and in his usual gregarious style, he kept the audience well entertained. The highlight of the evening is always the announcement of which sponsor has won the title sponsorship for the year. Corporate and marketing benefits include having the annual dining event named after the winning company! Thanks Andy for sharing. We already have high hopes for next year and meanwhile our balloons will be flying sky high all summer including at the Bristol International Balloon Fiesta which this year is being held from 7 – 10 August. If you can go, it really is the most brilliant day out! Have you spotted one of our personalised Red Letter Days hot air balloons in the sky yet?